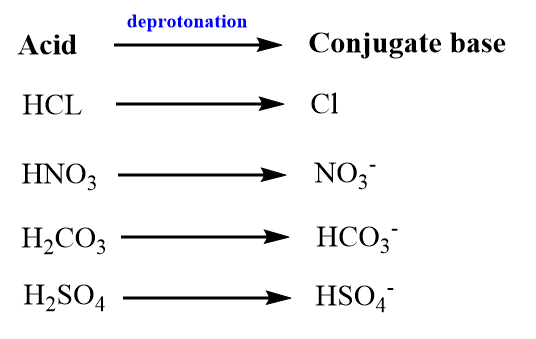 A conjugate base, in an acid-base reaction, is the product that results when an acid is deprotonated. A conjugate base is, therefore, an acid with a hydrogen atom removed from it. A strong conjugate base results from a weak acid. A weak conjugate base results from a strong acid.